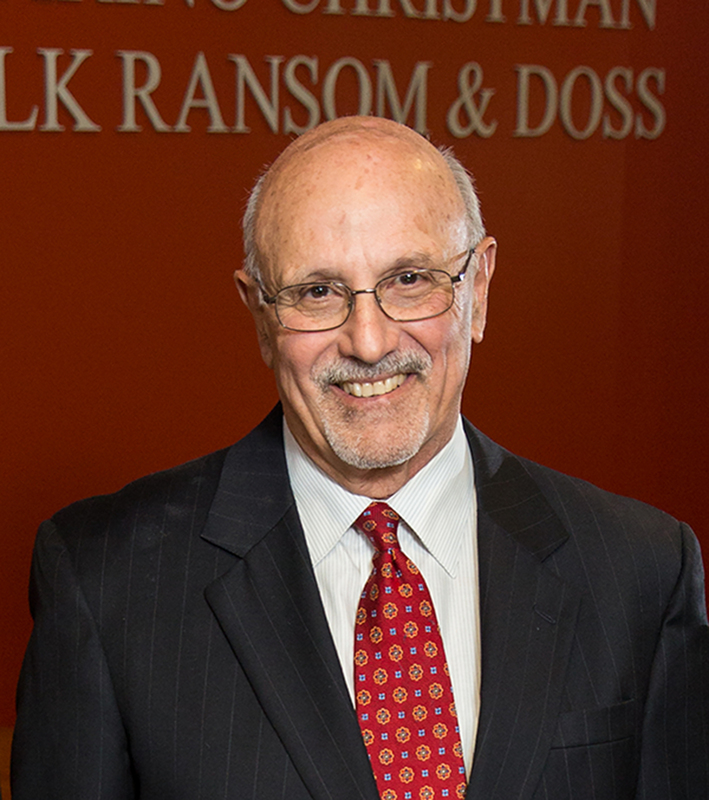 Stephen Casarino (Retired) | Casarino Christman Shalk Ransom & Doss, P.A. Stephen P. Casarino was a founding member of the firm who retired on December 31, 2013. Mr. Casarino had a distinguished career as an attorney and is among the most experienced litigation attorneys in the State of Delaware. Mr. Casarino’s distinguished practice involved civil litigation and appellate practice for over 40 years. He was a Fellow with the American College of Trial Lawyers, a member of the American Board of Trial Advocates, and the only attorney in Delaware to hold the rank of Diplomate in that organization, having handled more than 100 jury trials to verdict during his career. Each of these organizations admit members only by invitation, which is only extended to those who meet high standards of advocacy and professionalism. Mr. Casarino was one of very few attorneys in Delaware to be invited to join all of these organizations. Mr. Casarino holds an AV rating in the Martindale-Hubbell Bar Register. He is a graduate of University of Delaware, where he obtained his B.A. in 1963, and Catholic University of America, where he received his LL.B. in 1966. He became a member of the Bar of the State of Delaware in 1966 and was admitted to practice in front of the United States District Court for the District of Delaware, the United States Court of Appeals for the Third Circuit and the United States Supreme Court. Mr. Casarino’s dedication to the practice of law and his clients has set an exemplary model for the attorneys who have grown under his leadership. His enthusiasm for jury trials carried beyond his own cases, as he advised and supported the other attorneys in their trial endeavors. He continually built solid relationships with his clients while earning the utmost respect from judges across the State of Delaware. His commitment to the firm, his fellow attorneys, and his presence in the courtroom are sorely missed, but greatly admired for years to come.